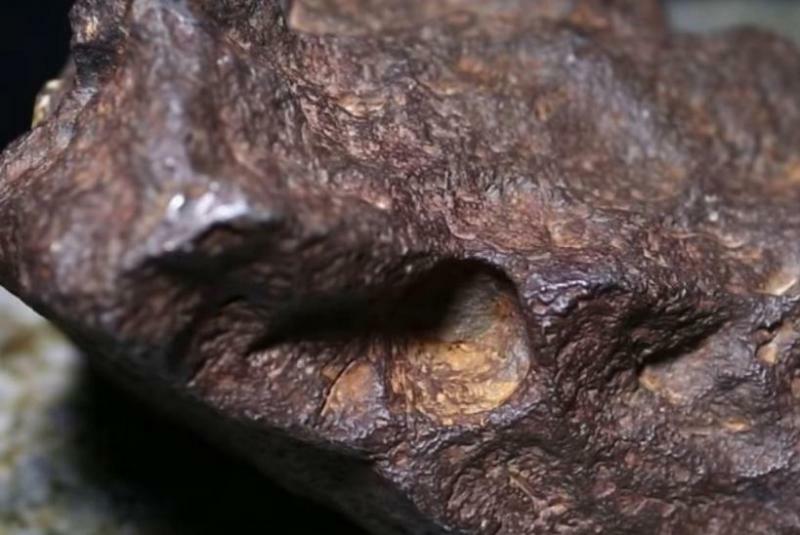 The doorstop that a Michigan man had been using since 1988 has turned out to be a meteorite worth $100,000. The man, who has asked to remain anonymous, knew the 22-pound rock came from outer space ever since he bought the house in 1988. The previous owner showed him around the property at the time and said the meteorite arrived on the farm during a meteor shower in the 1930s. Neither man figured the meteorite was worth much money, so it sat there, sometimes holding a door open once in a while. But earlier this year, the man heard about people selling small pieces of meteorites for substantial sums of money. "I said, 'Wait a minute. I wonder how much mine is worth," he said. the man then decided to take his rock to Mona Sirbescu, a geology faculty member in earth and atmospheric sciences at Central Michigan University. "I could tell right away that this was something special," she said, noting that it's the sixth-largest meteorite found in Michigan. "It's the most valuable specimen I have ever held in my life, monetarily and scientifically," she said. Pieces of it may also be cut-off for research purposes.